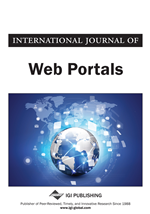 The objective of this study is to investigate the current accessibility initiatives applied to the Web and identify its main characteristics and trends. The method used was a literature review focused on work in the last twenty years in the United States, United Kingdom, Australia, Canada and Brazil, ranked according to their approaches, in six lines of study. As a result, points out the lack of studies that allow effective analysis of the accessibility of websites, and methods for continuous improvement of technical standards and recommendations. It follows, showing the application of usability metrics by Nielsen and ISO-9241 and the incorporation of research models of information behavior seeking for assessment of gaps in accessibility. The first accessibility initiatives registered was around 1950s, by universities in the United States. The high number of people maimed by the 2nd World War drew the attention of the society to the problem of access for disabled people to public areas. Those initiatives were isolated and focused on the principles of independence (decision making) and Autonomy (functionality), as presented by Sassaki (2009). In 1975, with the Declaration on the Rights of People with Disabilities, the first legal step was achieved for this group. In the 1980, proposals were composed of Adaptive Design (for adapting existing architectural works) and Universal Design (for project development of new architectural masterpieces accessible) supporting people with disabilities (Disabled Peoples' International, 1983). Since then, standards and recommendations for access to all users began to take shape. Only in the 1990s the term was widespread accessibility worldwide, with UN support, by the construction of the Charter of the third. Millennium. The concept of accessibility to physical environments adopted was discussed, stating that “it is possible to extend access to all community resources - physical, social and cultural rights.” (Reabilitation International, 1999).